Insect stings can often be associated with certain types of allergic reactions. 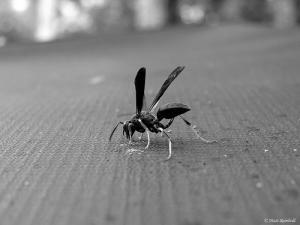 The list of harmful insects usually includes bees, fire ants, wasps, hornets and yellow jackets. Sometimes a normal reaction to an insect sting may be mistaken for an allergic reaction and the severity of the actual allergic reaction usually varies from person to person. Three different types of reactions to an insect sting include allergic, localized and normal reactions. Local reaction involves swelling that affects the areas that are even beyond the sting site. Normal reaction can be characterized by swelling, redness and painful sensations around the affected area. There are numerous symptoms that can be affiliated with allergic reactions triggered by an insect sting and they may or may not include difficulty breathing, itching, swollen face, warmth at the affected area, swollen throat, pimple spots, swollen mouth, redness, wheezing, painful sensations, difficulty swallowing, unconsciousness, restlessness, cardiac arrest, anxiety, shock, faster heart rate and a sudden drop in blood pressure. Allergic reactions may even be fatal in some cases. The first that needs to be done after an insect sting is to remove the stinger as soon as possible because it contains the harmful venom. It should be removed with an object that has stiff edges, such as a credit card. The area needs to be washed with water and soap and an antiseptic medication needs to be applied topically to the affected area. It is also recommended to apply some sort of a soothing ointment such as Calamine lotion or hydrocortisone cream to the affected area. The affected area then needs to be covered with a sterile bandage. Swelling can be resolved by applying cold compresses or ice packs to the affected areas. Itching and hives may be treated by antihistamine medicaments, while the painful sensations need to be relieved by using a nonsteroidal anti-inflammatory medicament. Allergic sting reactions need to be treated by epinephrine which needs to be administered by means of an injection. Sometimes there is need for intravenous administration of oxygen, fluids and certain other types of treatment. Insect nests need to be avoided. It is also wise to wear long-sleeved clothes and avoid wearing bright colors and perfumes. One can also carry and epinephrine sting kit because it may save one’s life when a severe allergic reaction occurs. Allergic reactions may be prevented by using one of the numerous different types of allergy shots. My face totally changed after a good sleep.. I can't go outside..